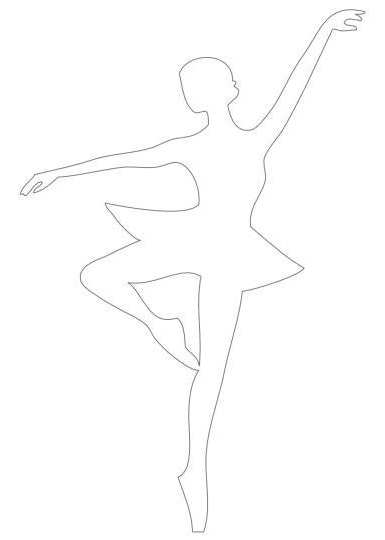 Our snowflake-ballerina is created from two elements-tutus (skirts) and ballerinas. 1. 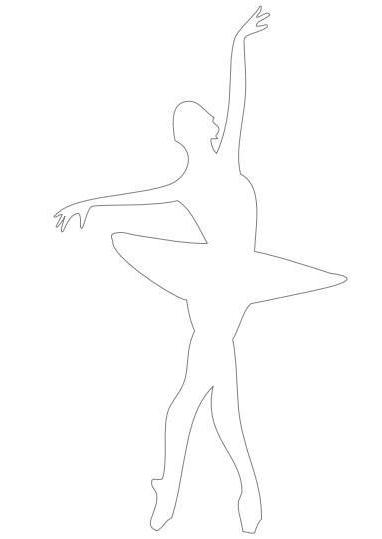 To begin, we need to print on paper a favorite ballerina pattern and cut it. 2. 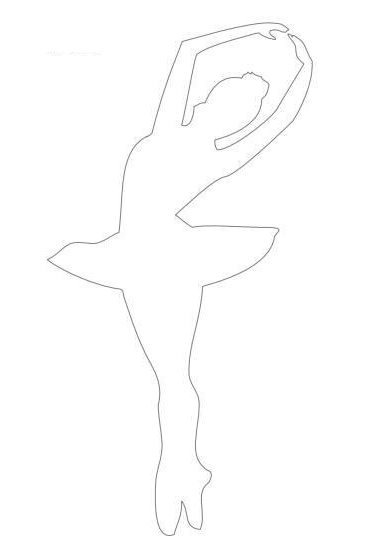 We will make a tutu of a ballerina from a snowflake. For its manufacture take a sheet of paper, fold it and cut a snowflake. Templates for cutting snowflakes you can see here or here. 3. Now we have to put a pack of folded snowflakes on our ballerina. All! 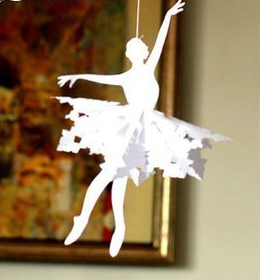 Snowflake “Ballerina” of paper is ready.